Rabbit capers: WCC is expecting further advice from feral animal management specialists after an explosion of free-range rabbits in Artarmon’s west during the holidays. Last month, WCC director of infrastructure services Steven Head told the Gazette council staff had been checking Artarmon parks (in Artarmon’s east) for rabbit numbers and any damage such as holes, warrens, eaten vegetation, etc but “there is no obvious damage”. Meanwhile, the rabbits were reportedly last spotted in Hampden Rd and the Gazette understands the grounds of a Buller Rd block of units are inaccessible because of their burrows. Warrens have also been found in the school grounds. 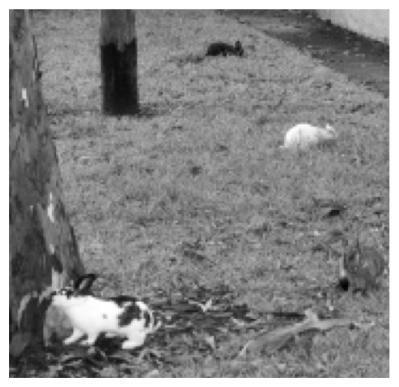 Head said council had sought quotes from pest controllers for trapping and euthanising and had distributed notices in letterboxes along Buller Rd, Francis Rd and White St “about proper rabbit keeping and future trapping options if the free-ranging rabbits continued to proliferate”. Inquiries: Julie Whitfield, open space management: 9777 7751. Lane dismay: Barton Rd housing complex residents were dismayed late last year (see Letter to the Editor, P2) to learn the new education minister Adrian Piccoli had agreed to the Abbott Lane closure, putting a stop to further community consultation on the issue. The decision, which took council by surprise, prompted mayor Pat Reilly to approach NSW community minister Pru Goward, in charge of NSW Housing. Goward assured the mayor she would discuss the issue with Piccoli “with the aim of achieving a mutually convenient outcome”. OOSH crisis: As the school year starts, overcrowding is again rearing its ugly head. Artarmon has a desperate demand for out of school hours (OOSH) care. The Gazette understands there are only 75 places available, which are all taken, and a waiting list for 100 more. Annabelle Taggart, whose child is starting school this year, has found an OOSH operator and is now seeking council and community support to find premises, including APS, Artarmon Library’s after it is vacated or the community hall in Artarmon Rd. Councillor Kate Lamb is calling for the education department or the local MP to take responsibility for the effects of overcrowding in Willoughby’s public schools.